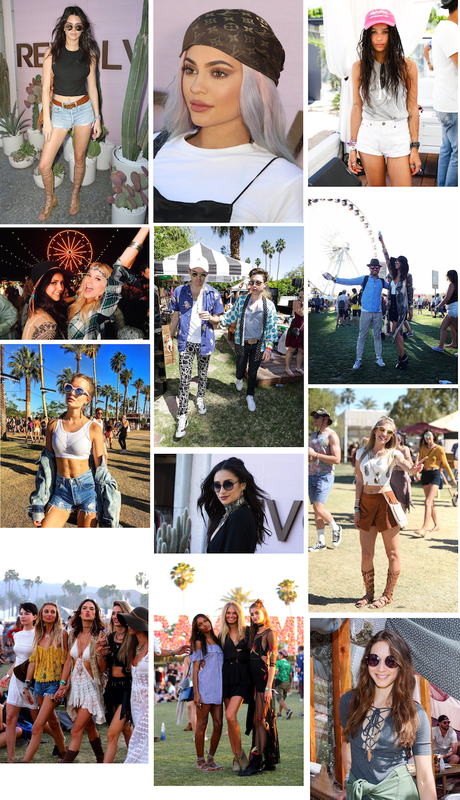 HIGHLIGHTS: COACHELLA 2016 WEEKEND ONE | RAWR BOWS. There are two groups of people in the world right now: those who are at Coachella and those who wish they were at Coachella. Those who are going have probably spent the last month (or even months!) carefully planning ‘Coachella worhty’ outfits. Think fringe, suede, crop tops, crochet everything, henna tattoos, etc. The jewellery has been delicately picked to perfectly match the outfit vibe, a big statement necklace for those simpler outfits and some dainty jewellery if the outfits is a statement in itself. Spray tans are a must too, accentuating the metallic tattoos and complementing the white and cream bralettes perfectly. And let’s not forget about the bandannas - worn in all the styles possible - and the vintage sunglasses. Basically, a perfect instagrammable scene. No look, as simple and casual as it may seem, has been put together carelessly. So it would only be fair to appreciate them and give them the attention they deserve. Here are some of the highlight of Coachella Weekend One.